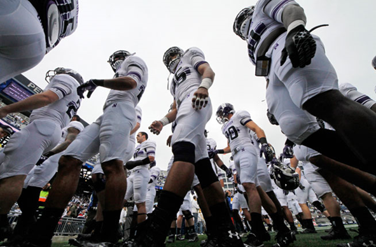 In January, 2014, Northwestern University grant-in-aid scholarship football players filed a petition for a representation election with the National Labor Relations Board’s Region 13 office seeking representation by the College Athletes Players Association for the purpose of collective bargaining. In March, 2014, the Board’s Regional Director for Region 13 found the football players were statutory employees. The school requested review of the Regional Director’s decision. On August 17, 2015, the Board issued a decision finding it lacked jurisdiction over the case. The Board reasoned a decision on the merits of the case would not effectuate the policies of the National Labor Relations Act to promote stability in labor relations because of the nature of college football programs (the majority of which the Board lacks statutory jurisdiction over because they are state run) and because of the ramifications such a decision regarding one team may have on other teams. The Board’s press release can be found here. Bugbee & Conkle will be discussing current NLRB issues facing employers at its Annual Labor & Employment Law Seminar on October 1, 2015 at the Hilton Garden Inn at Levis Commons, Perrysburg, Ohio. Register here or contact a member of our labor and employment defense team if you have any questions regarding any employment law matter.